I have come to the realization that store bought pasta sauces are just…Meh. All salt and indigestion and not even that tasty. We’ve been using just diced tomatoes in our pastas for a couple of weeks and I’m actually pretty happy with that. The flavor is there but it’s not overwhelming and I don’t feel like I will vomit tomato bile. I put about 3/4 of the mixture into my processor and gave it a few pulses and left the rest whole, because I like the chunks. If you prefer a smoother sauce, process the whole thing. 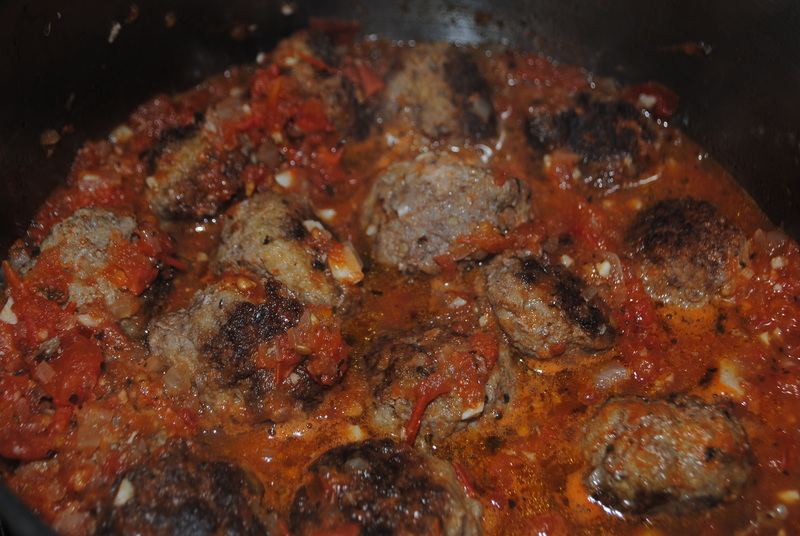 Put everything in a pot and cover, let it simmer for about 20-30 minutes or until you are ready to serve your meal. You can add olive oil if you prefer, I didn’t because I was putting meatballs that I had cooked in olive oil straight into the sauce to simmer. You can remove the skin from the tomato if you prefer to. You just need a pot of boiling water, lightly slice an X with a knife into the bottom of the tomatoes and carefully put them in the hot water. Leave them in there for only 10 seconds and then immediately remove them and dunk them into an ice bath, to stop the cooking process. Then you can very easily peel the skin off of the tomato. Neat-o! 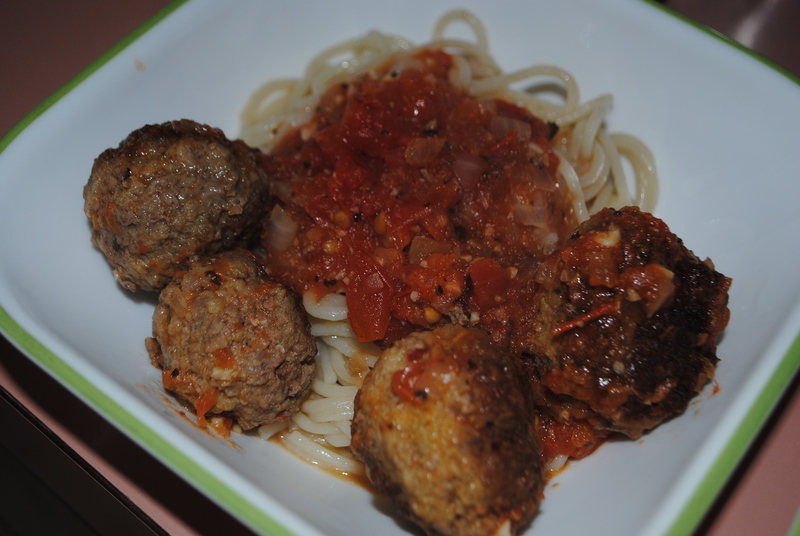 This entry was posted in Food, Uncategorized and tagged garlic, italian, low sodium, meatballs, no salt added, onion, pasta, sauce, spaghetti, tomato by themcdorkins. Bookmark the permalink.